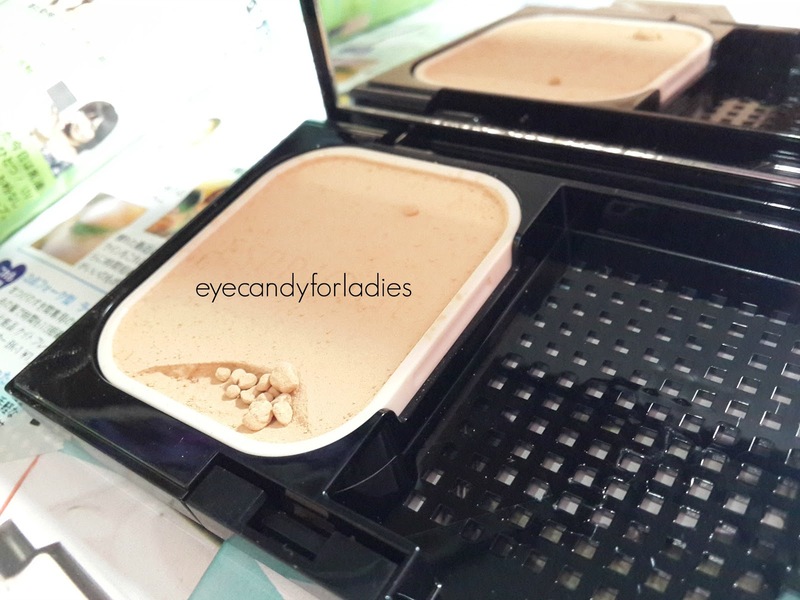 As you know, powder foundation popularity is not favored by certain (Indonesian) women since its semi-medium coverage, weak longevity and tendency to smear during hot temperature of tropic climate or while sweating. 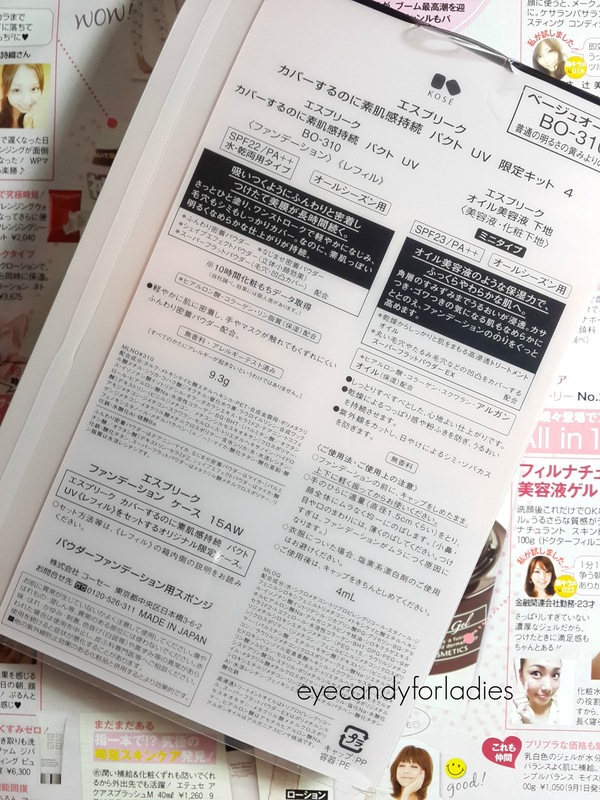 In contrary, Japanese women makeup trend is pointing toward 'effortless, natural looking finish'; driven by the urge to look 'as natural as you can' like they always advertise in magazine/beauty commercial, which is the most prominent element among Japanese women. 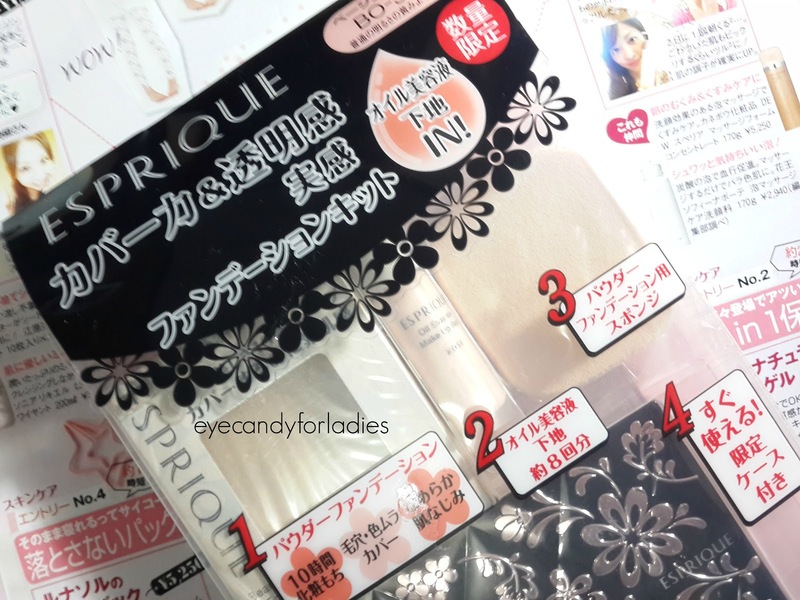 As one of leading cosmetic manufacturer in Japan, Kose Esprique brings out the choice of product based on your own preference; from dewy-natural look to fresh-matte finish. 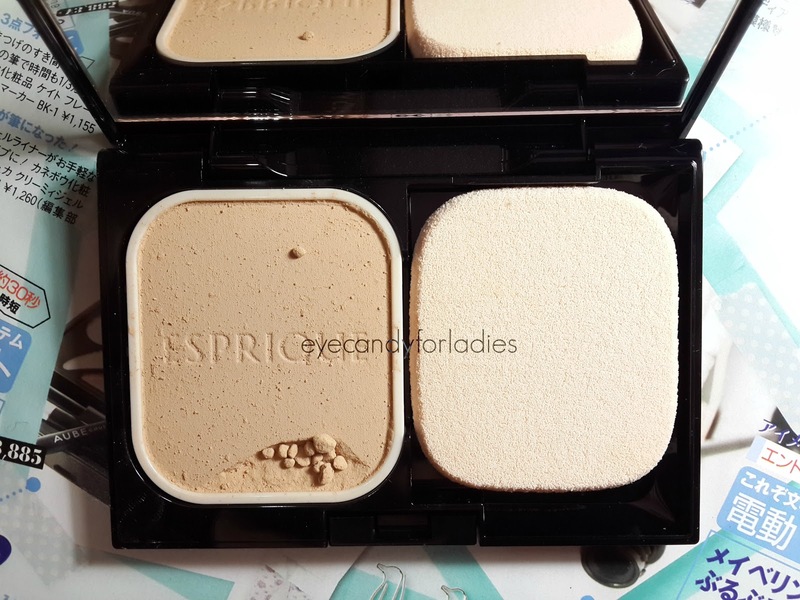 Esprique Cover Stay Pact is actually a regular base makeup product formed in a powdery-foundation. 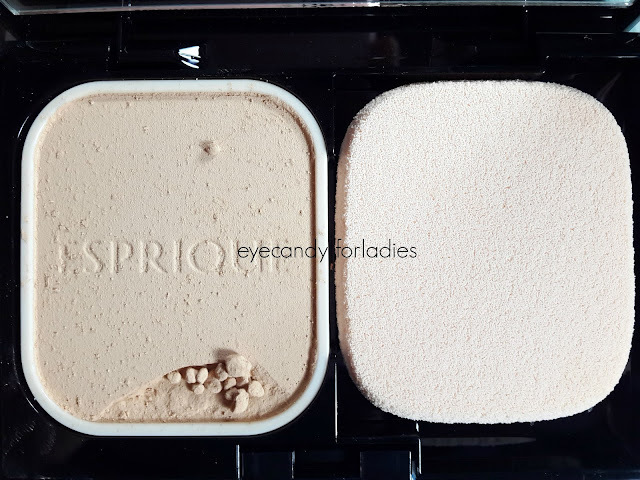 It comes in a compact powder with different limited edition foundation case which is usually released in every half-year term (SS/AW). For AW 2015, Kose Esprique Cover Stay Pact UV designed a bold black & metallic floral-pattern. So, basically Esprique launches different powder-foundation case in every half-year term, but the chance they only launch once in a year (and it's limited-edition) is possible, so grab yours before it's too late. 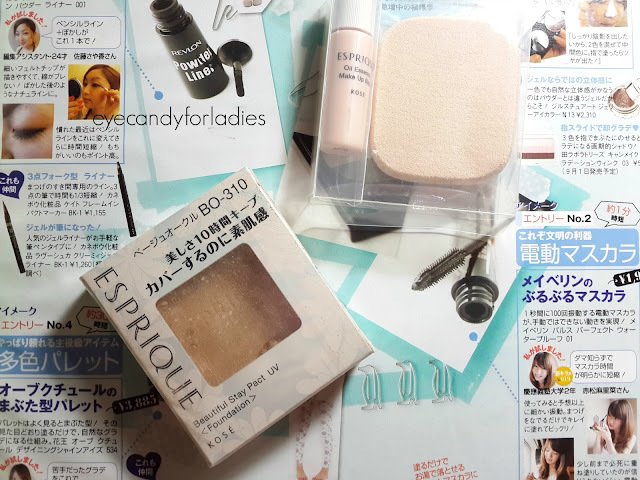 It was retailed for Yen 3.000 (exclude tax and shipping cost) and for case like mine, Esprique gave a free trial Oil Essence Make Up Base inside the box like seen below. 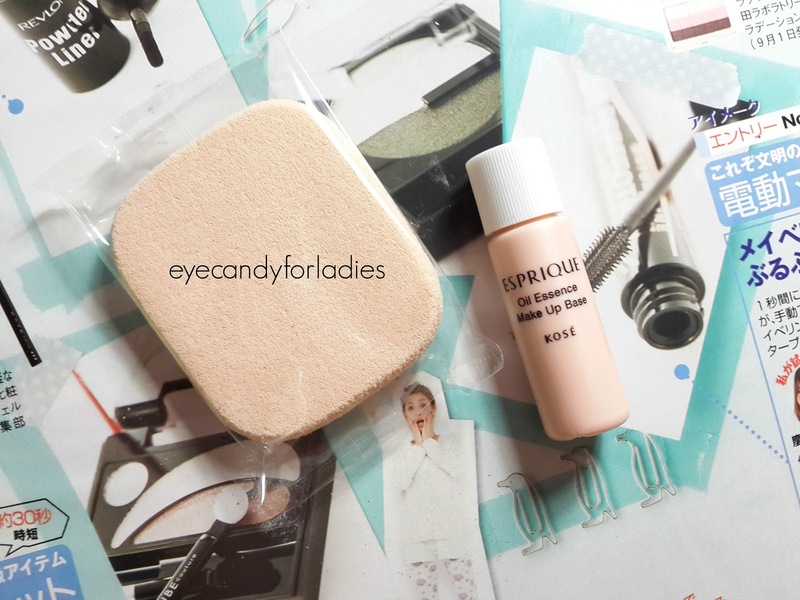 As you can see above, the powder foundation can be used with dry or wet sponge to reach a different result. The available shades for South-East Asia market consist of 5 shade with different 3 base color: BO for Beige Ochre, PO for Pink Ochre and OC for Ochre, whilst Japan market has more varied shades which won't be available in SE Asian market (like BO-310). The case, powder foundation and sponge were sold separately; thus you should buy it individually. 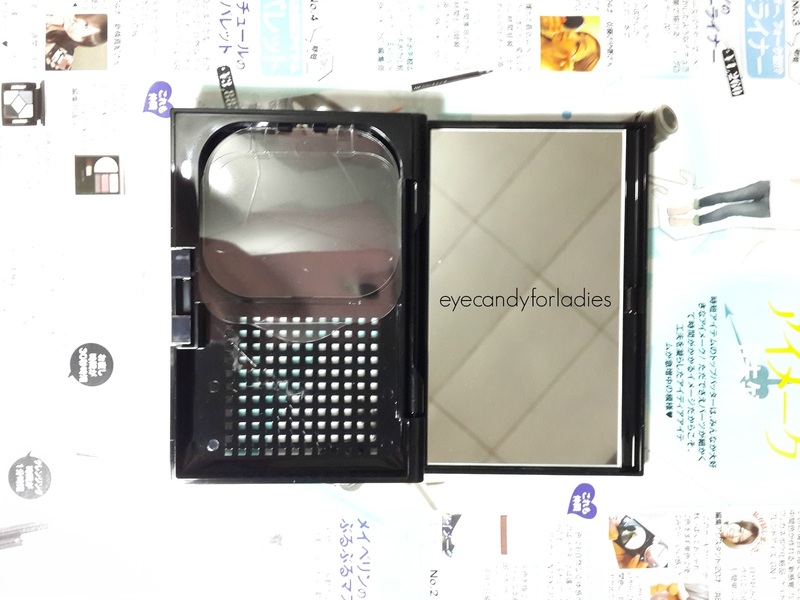 However, Japan market tends to promote their product more attractive; they sold the product in starter set (like mine) plus additional trial-size product as gift. Let's talk about the case; the case is well-made from sturdy lacquered plastic. 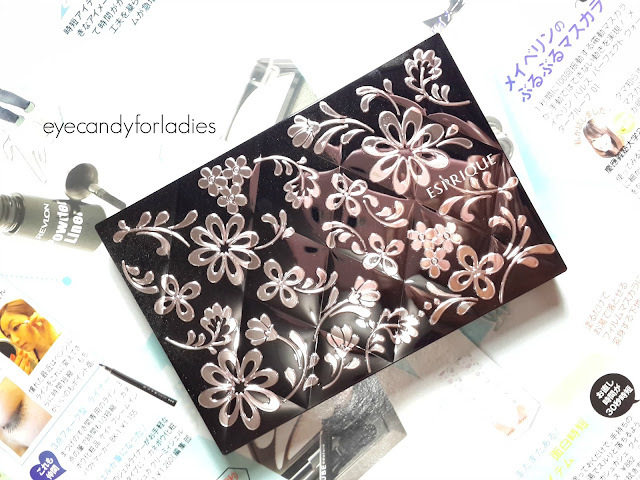 The design is charming in a floral pattern with black and silvery composition. Each season, Esprique launches different case design which comes as Limited Edition design, so the chance is you won't see it when it goes away. I'm not sure if Cover Stay Pact case would be suit with another Esprique refill, but you can ask Esprique BA for more detailed information. 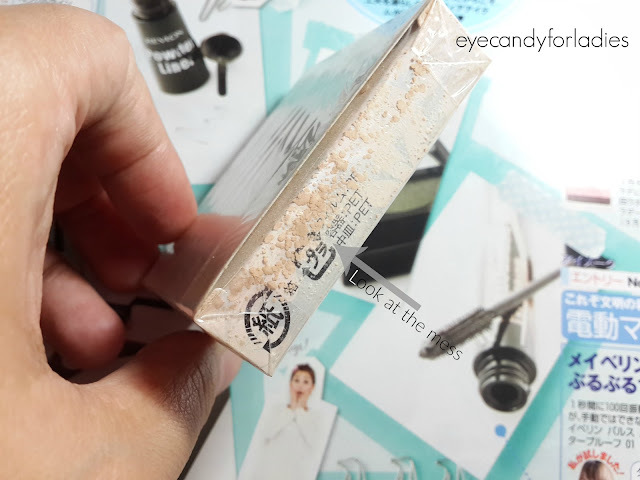 The powder foundation is fine but fragile imho; the foundation surface was accidentally cracked during the shipping process :( However, the powder is finely milled and covering the surface well; it covers dark-spot, redness and gives nice translucent powdery finish into your look. 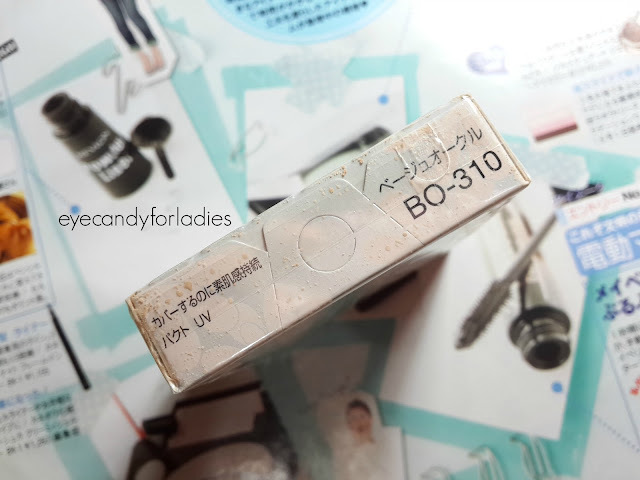 BO-310 itself is a versatile beige-ocher that complements medium skin tone woman. Comparing to Korean or Indonesian shades system, Japanese color chart is way more natural even though the only shade available might not complement darker skin tones. So, when they say PO (Pink-Ocher) it's much closer to pink-based ocher etc, so if you still confuse with your skin tone or which shade suits you most then you might consult your trusted BA. 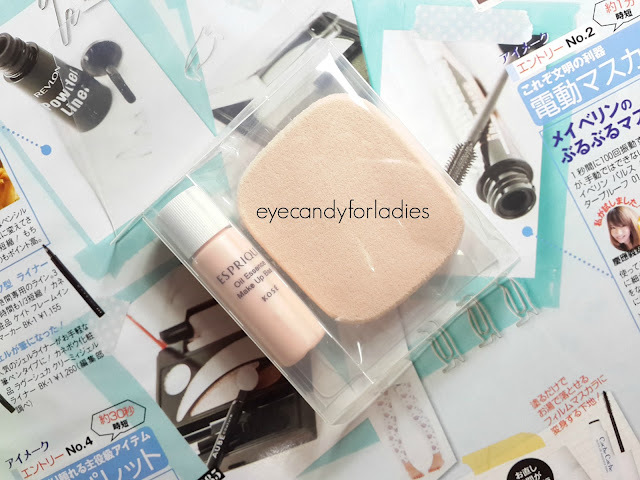 Somehow, I don't find any fuss with the sponge; it's one of the finest applicator I've ever tried; you can see the noticeable pores of the sponge but trust me it is that smooooth. 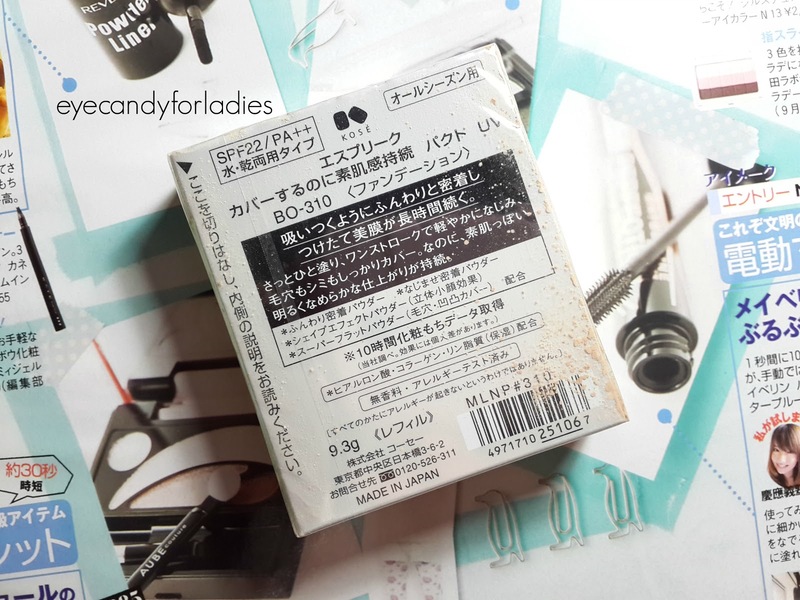 Oh well, the powder foundation stays well even in an unpredictable weather (it's extremely sunshiny in the noon and starts raining in the afternoon) like in Indonesia; it stays well during the heat of tropical climate but doesn't creates any visible patches when I'm entering AC-room. Big win! It stays for approximate 4-5 hours but later on will start to excess oil, which is normal I think unlike the other Japanese foundation *Lunasol, cough, cough* that starts to give your face greasy look after 1-2 hours. Fragrance-free and you can use it with damp or dry sponge. I should, soon, upload the before and after photos as comparison. This product, especially the case, is a must have item if you're a collector person. Every season, Esprique launches their latest design so make sure you won't miss the news. 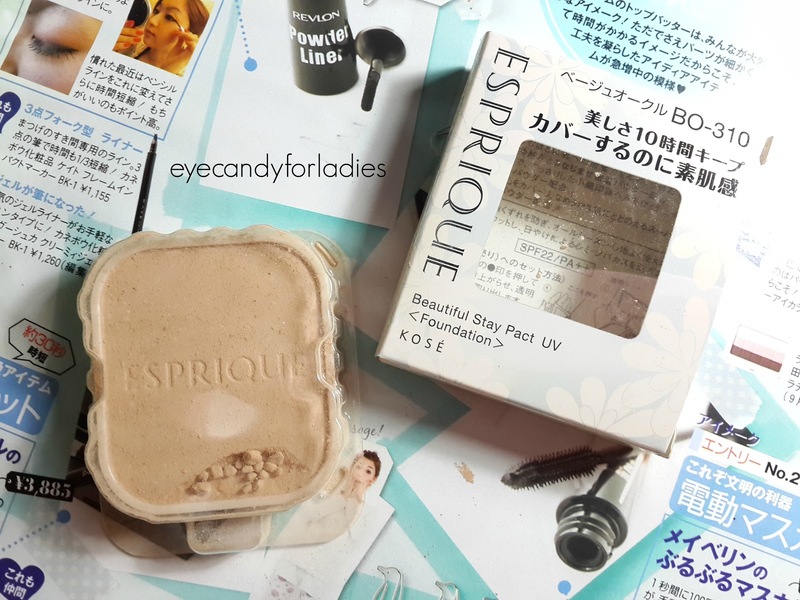 A quick recap: this powder foundation gives you a medium-heavy coverage, covers dark-spots and redness well, but leaves a nice powdery-matte with subtle translucency. Stays well in extreme weather like tropical Indonesia, stays on for about 4-5 hours, fragrance-free and you can use it with dry or wet sponge. I'm not sure whether this foundation can be refilled with the other Esprique refill but you can consult your nearest Esprique counter for more info. 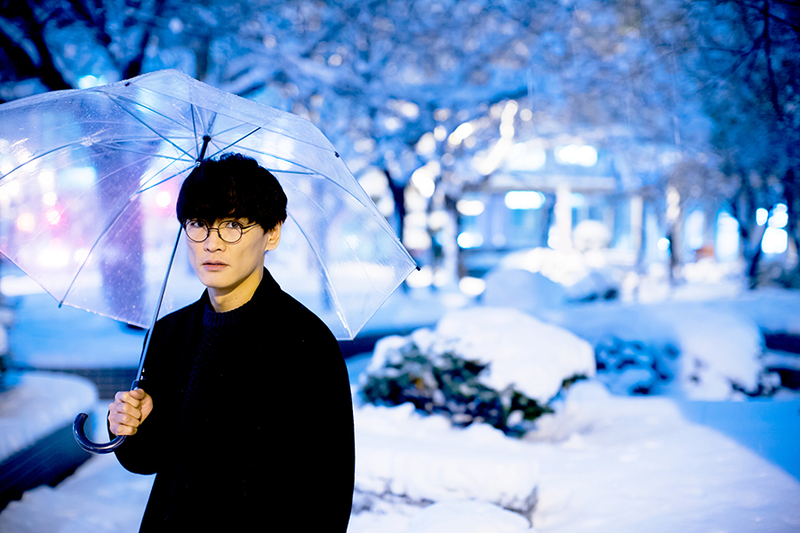 For now, I will leave you with the gorge Ichiro Yamaguchi, from Sakanaction. Jaa nee! 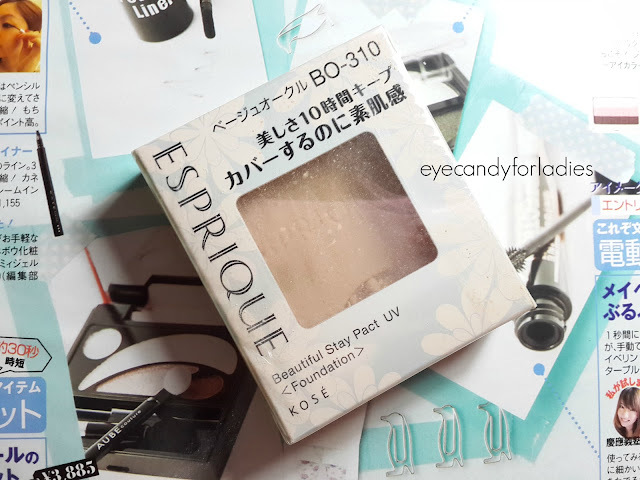 kemasannya lucu ya yun.. mengapa kalau aku perhatikan product base makeup japan lebih banyak shade Ochre ya?? padahal Ochre kan lebih ke kuning ya?? bukannya orang jepan itu putih-putih netral sich ya?? DId this shade match your skin tone? 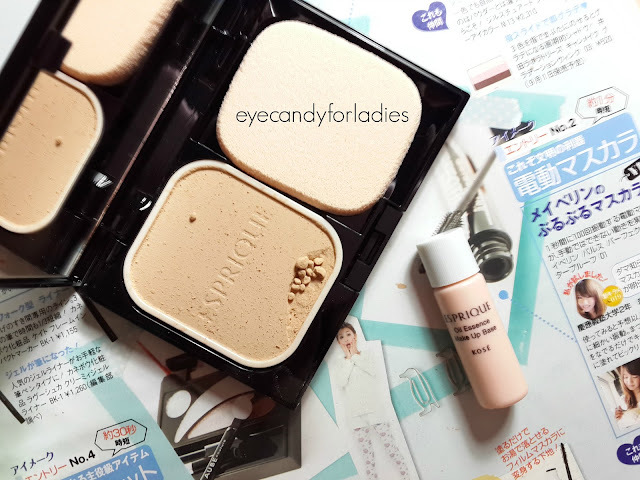 If yes, what other Japanese powder foundation shade are you using? I'm using Lunasol powder foundation in shade YO002, and was thinking which shade is similar for this product. thanks! Hi drea, sorry for the late reply! Frankly, BO-310 is bit too light for me, but somehow the beige-ochre base blends perfectly with my skin tone! 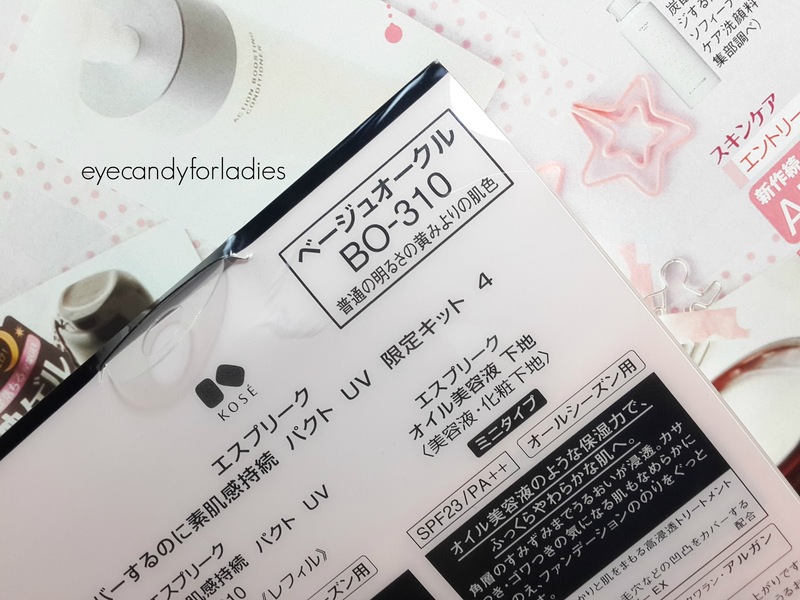 I have Lunasol Cream Foundation YO-03 as comparison, and I might think BO-300 or BO-305 might be suitable for your YO-02. 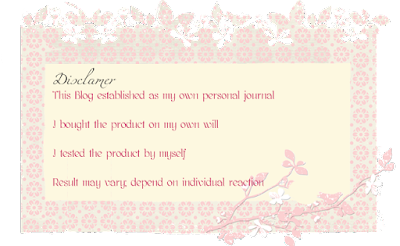 Powder foundation is usually very dry, that's why I often move away from it as my skin is also dry. The only powder foundation which is good for me is KATE Mineral Powder Foundation but it's already discontinued. 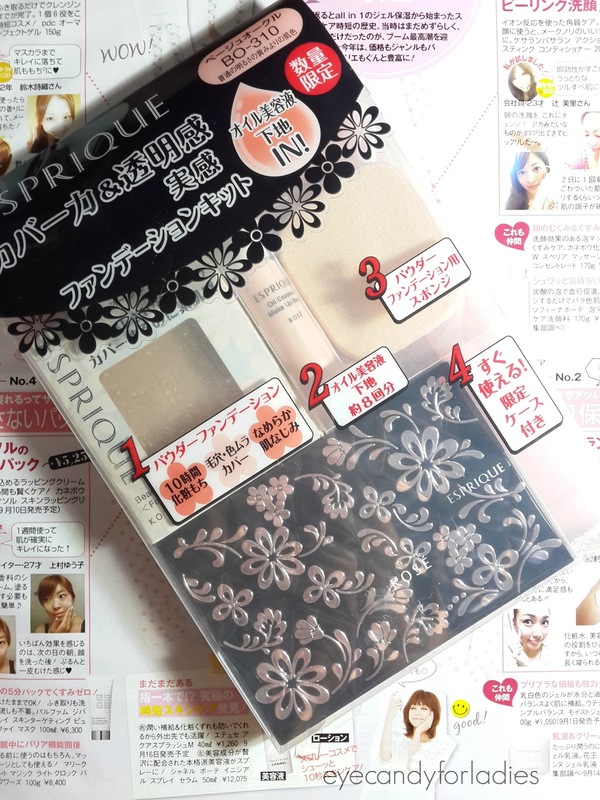 I don't know why, but I'm more interested for Maquillage Dramatic Powdery UV than Esprique. Though I'm surprised Esqprique won from Lunasol. I'm so jealous of SG. 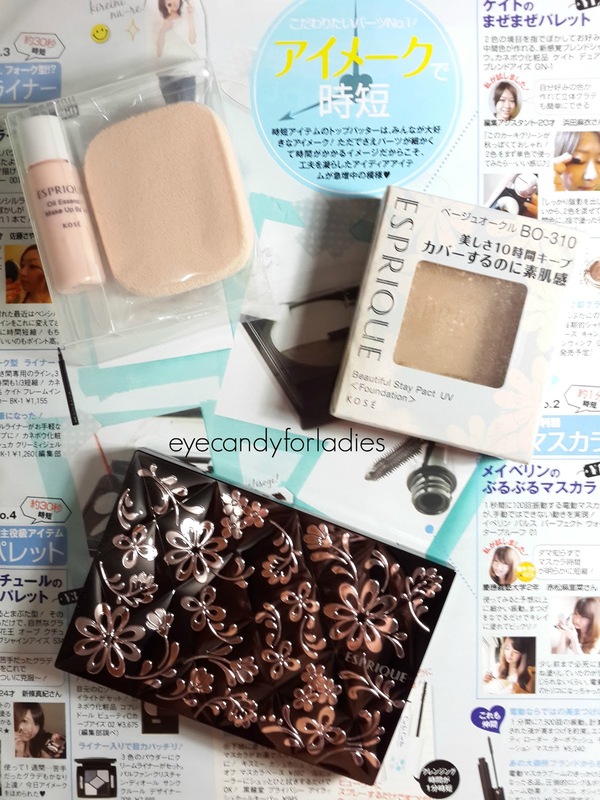 It's the nearest drugstore/dept store to sell almost complete Japanese/Korean makeup brands. The country even have the famous Laduree store (I think in Takashimaya). Indonesia's cosme & skincare market is still based towards Western though. That's why it's hard to find Asia's.